Radio Network (AAPIRN) and on the INDYCAR YouTube channel on Friday beginning at 11:15 a.m. and 3:10 p.m. ET. Also on the INDYCAR Mobile app. QUALIFYING BROADCAST: Live on the AAPIRN, the INDYCAR 18 app and RaceControl.IndyCar.com from 10:55-11:25 a.m. ET on Saturday and 10:45 11:15 a.m. ET Sunday. RACE BROADCAST: Live on ABC, Saturday and Sunday, June 2 & 3 – both at 3:30 p.m. ET. Also on the AAPIRN, Sirius 214, XM 209, RaceControl.IndyCar.com and on the INDYCAR Mobile app. The 2018 Chevrolet Indy Duel in Detroit will mark the Verizon IndyCar Series’ ninth visit to Detroit, and it’s seventh since 2008. The Motor City hosted Indy car racing from 1989-91 in Downtown Detroit. The race moved to Belle Isle Park from 1992-2001 and 2007-2008 and returned in 2012. The 2018 event will mark the 19th year for Rahal Letterman Lanigan (RLL) Racing to compete at the Raceway at Belle Isle Park and the team’s 24th and 25th races here. The team’s highest start of pole came last year with Graham Rahal earning his first pole since 2009 in Dual 1. Bobby and Graham Rahal have earned a combined total of three wins for the team here. Bobby won the inaugural race in 1992 and Graham won both races here last year. In total, the team has earned seven podiums (2nd – G. Rahal 2014, Jakes 2013 & Max Papis 2000), (3rd – G. Rahal 2015) eight top-five finishes and 16 top-10’s here (chart available). Prior to 2018, the team prepared a total of 28 entries for drivers such as Bobby Rahal (1992-1998), Mike Groff (1993-94), Raul Boesel (1995), Bryan Herta (1996-99), Max Papis (1999-2001), Kenny Brack (2000-01), Ryan Hunter-Reay (2007-08) Takuma Sato (2012), Graham Rahal (2013-2017), James Jakes (2013) and Oriol Servia (2017). The No. 15 United Rentals Honda entry for Graham Rahal and the No. 30 Fifth Third Bank Honda for Takuma Sato will bring that total to 30 in 2018. The event will mark Graham Rahal’s 12th and 13th races here. 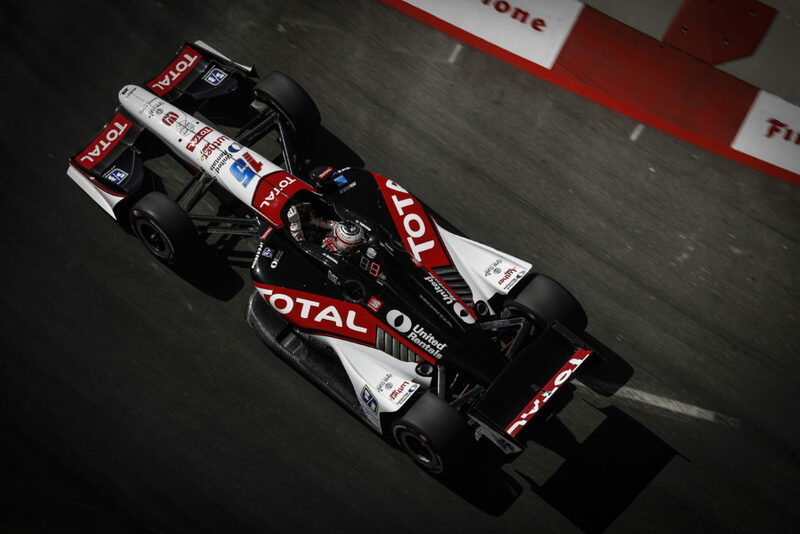 Last year Rahal was either first or second in every on-track session including qualifying and each race. In Dual 1 last year, Rahal earned his first pole since Kansas 2009 and led a dominating 55 of 70 laps en route to his fifth series victory and first ever from pole. 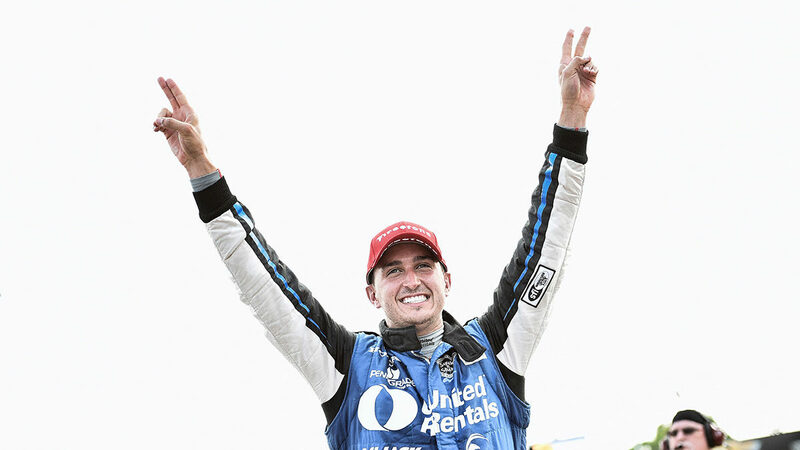 He handily held the lead with the exception of pit cycles and built a gap of more than 13 seconds at one point before he ultimately won by a six-second margin over Scott Dixon. 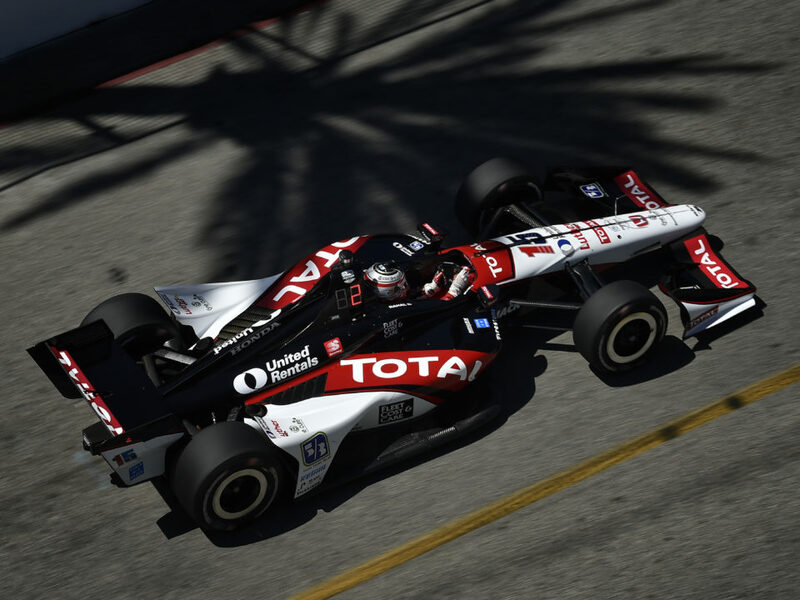 For Dual 2, Rahal set the second fastest time in his qualifying group 2 to Sato to start third. In the race, he passed Hunter-Reay on Lap 8 and closed the gap to pole sitter and leader Sato but could not pass. Sato pit one lap earlier than Rahal, who took the lead on Lap 23 before he made his first of two stops on Lap 24 and returned to the track behind Newgarden who was on a three-stop strategy. 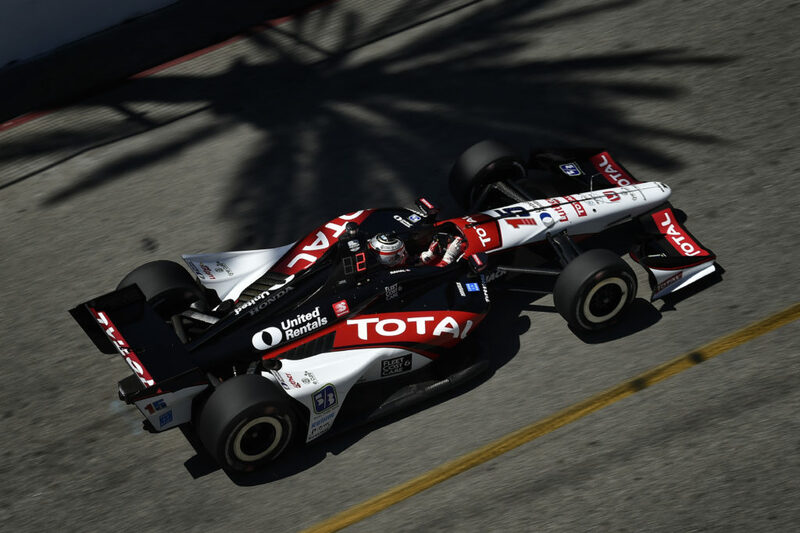 Once Newgarden pit on Lap 29, Rahal took over the lead and steadily built his gap to second place to 16 seconds over Sato before his second and final stop on Lap 47. He then proceeded to build an 18 second gap over second place before he caught traffic. That reduced his lead to new second place runner Newgarden to 5.5 seconds before a red flag came out for the car of Pigot, who experienced a smoky end. All race cars were stopped in pit lane for approximately 10 minutes while the track was cleared and an attempt to remove marbles was made. 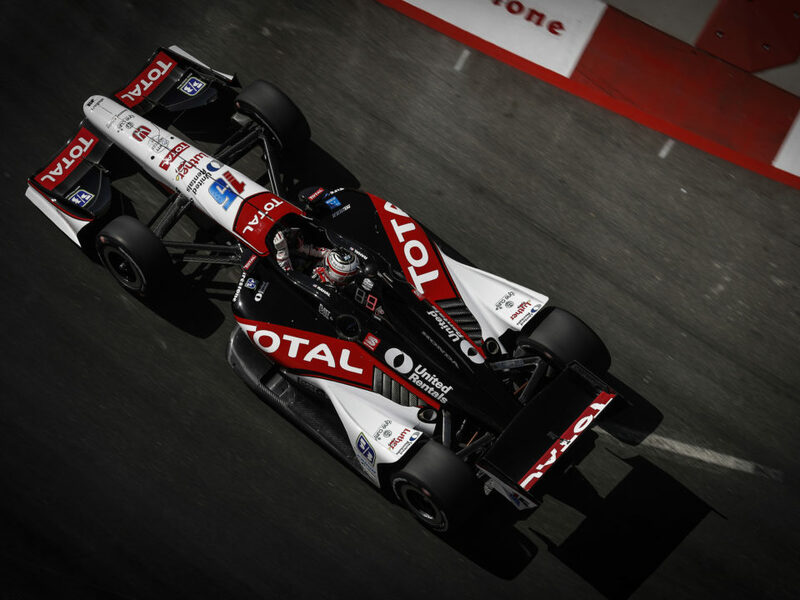 The race resumed with a two lap shootout and Rahal utilized his 57 seconds of Push to Pass over Newgarden’s 36 to keep the lead on the restart before he was able to pull a slight gap before the checkered flag to become the first winner of both races in Detroit. In total, he led 41 of 70 laps. His other podiums in the race came in 2014 with second place in Dual 1 and third place in Dual 2 in 2015. Overall, he has two wins, four podiums and one pole in 11 races here. More details upon request. The 2018 race will be Takuma’s 12th and 13th here. In 11 races, his best start is two poles (2014 with A.J. Foyt Racing, 2017 with Andretti Autosport), best finish is second in 2015 with AFR and he has led a total of 44 laps in three races. He started in the top-five in four of 11 races and earned two, top-five and four, top-10 finishes. Last year, he qualified third for Dual 1 and finished eighth and won pole for Dual 2 and finished fourth for Andretti Autosport after leading 22 laps. And in his previous race with RLL here in 2012, he qualified 12th and retired in 20th after contact. He arrived to Detroit last year on a high after winning the Indy 500 and the subsequent nonstop media tour but he didn’t let that hinder his competitiveness. In the two street races so far this season in St. Pete and Long Beach, the team has shown potential. 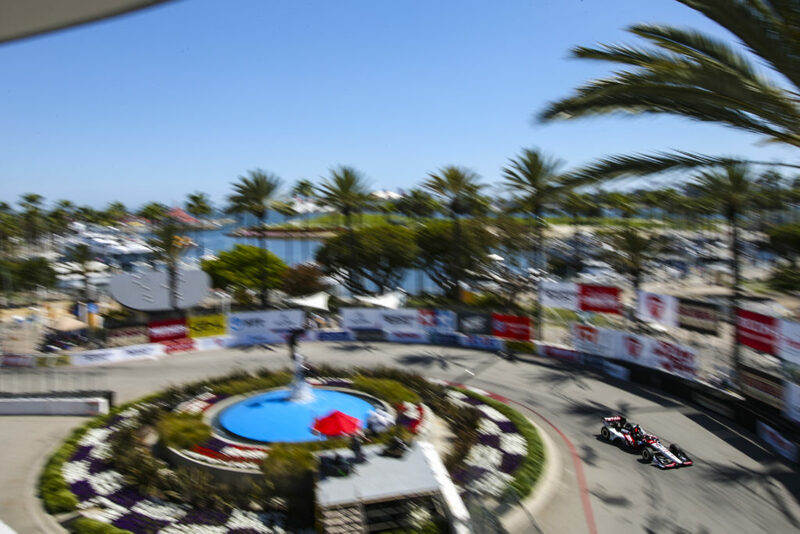 The season-opening race in St. Pete produced mixed results for Rahal and Sato despite competitive moments. Rahal started from the back of the pack in 24th after spinning in qualifying and finished second while Sato qualified fifth and ran as high as fourth before he was later hit by an airborne Scott Dixon on Lap 34 of 110 which forced him to pit to replace a punctured right rear tire and check for other damage and drop to the back of the field. The team tried alternate pit strategy in order to get to the front but he soldiered on to finish 12th. 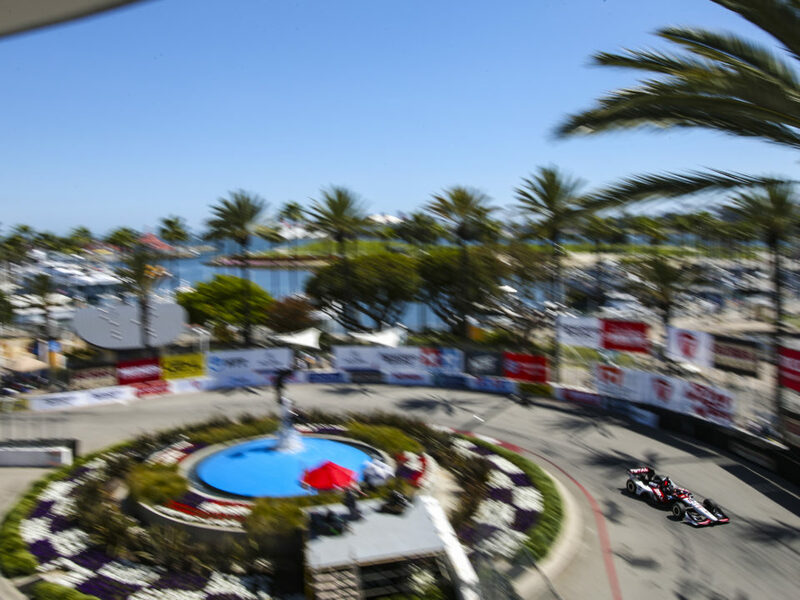 In Long Beach, Rahal started fifth place but took over third on the start after sliding into the back of Pagenaud and getting a drive through penalty which dropped him to 22nd. He went on an alternate pit strategy and climbed back up to fifth. Sato started on the other end of the grid in 22nd and had made his way into sixth when contact with Hunter-Reay on Lap 46/85 forced a pit stop to repair damage. He returned to the track 11 laps down and ultimately finished 21st. Both drivers are hoping for an uneventful race where they start and finish in the front. Coming on the heels of a hectic three weeks at Indianapolis Motor Speedway, first for the INDYCAR Grand Prix and then the Indy 500, Graham believes the physical demands of not one, but two street races within the same amount of days plays to his strengths.